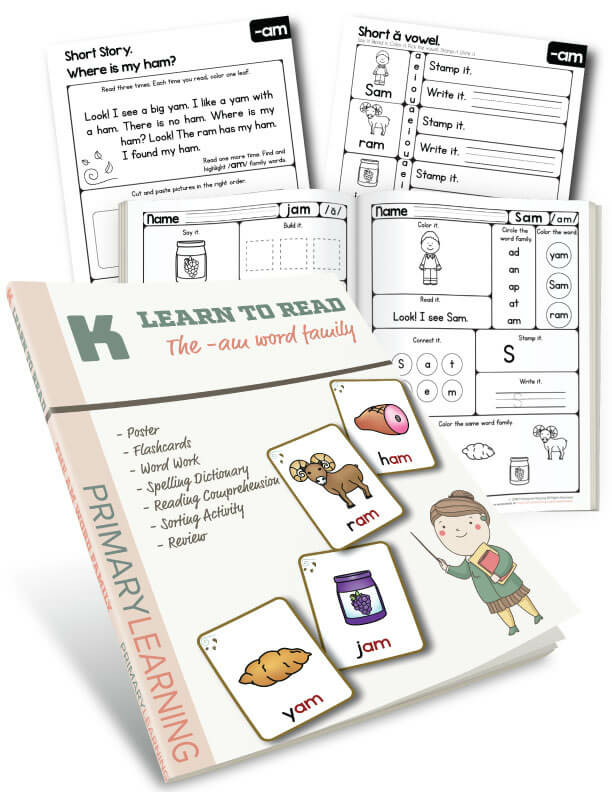 This hands-on activity pack helps kindergarten students build essential literacy skills. The main goal is to increase your students’ vocabulary, learn to read and identify the short ă sound in an active and hands-on way. 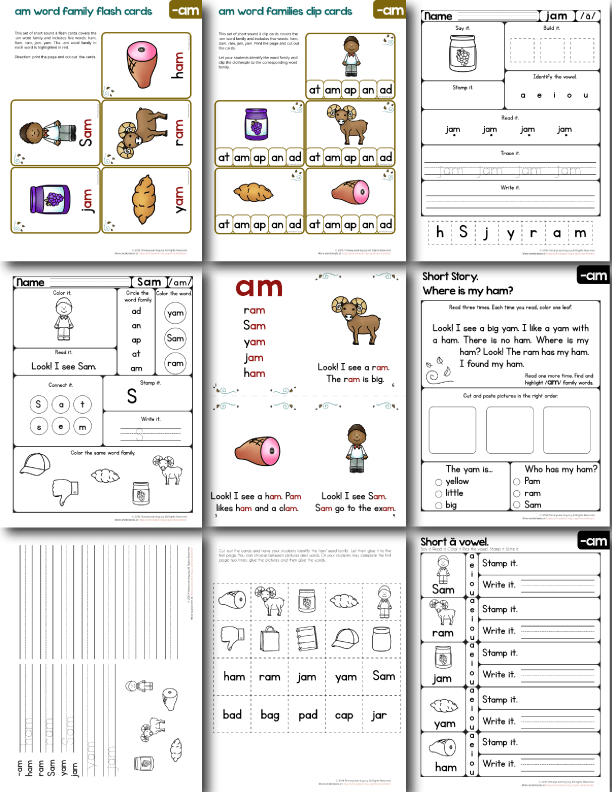 This workbook combines 13 hands-on worksheets and activities for independent and guided learning. You can find them in two versions: in color and with outlines. Reading Skills. Students will complete different reading activities. 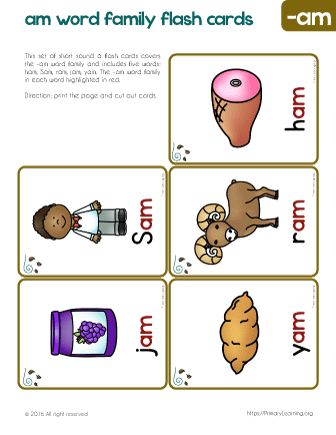 With reading cards, students will identify the short a medial sound and the -am word family. Students will read cvc words, short passages, short story and mini-book (combine pre-primer Dolch list and CVC words). Reading Comprehension. 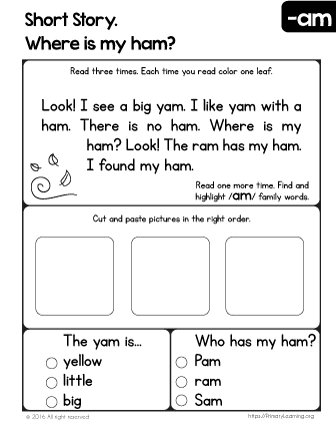 After reading a short story, students will glue pictures following the sequencing in the story and answer few questions. Writing Skills. 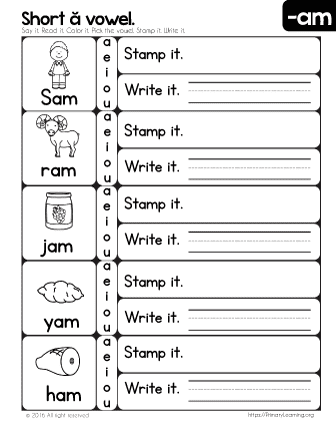 Students will practice tracing CVC words, writing and spelling in different ways. They will build short ă words using different materials, they will write words by hearing them, connect letters to construct the word, and more. Creativity. 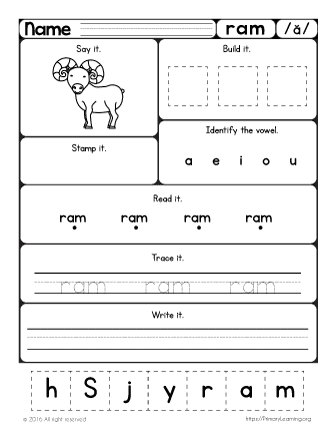 Students encouraged to color the pictures for the words they have learned.